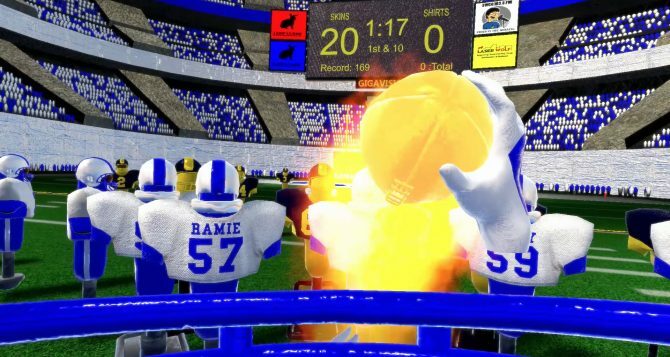 Truant Pixel prepares to release a new virtual reality game, providing an unique perspective on football. The good folks at Truant Pixel is mostly know for the great PS4 themes they create, but they also make games, and besides the upcoming Akash: Path of the Five, they have another up their sleeve. 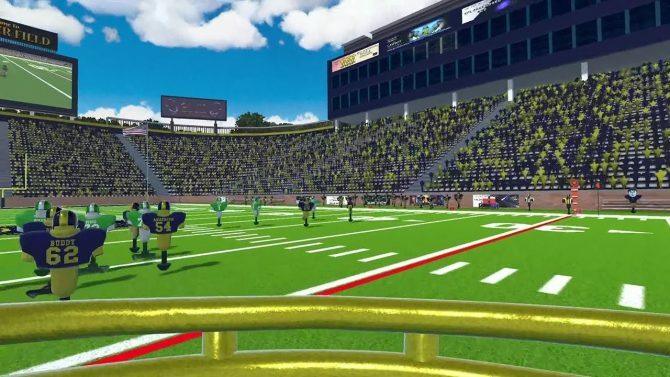 The new game, just announced today, is 2MD VR Football, bringing a quite unique perspective to the beloved American sport. Below you can read a full description with bullet points. They were part of the training, the hard work, the blood, sweat, and tears, but never part of the glory at game time. And so, the tackle dummies banded together to form their own league, and savor only the most exciting part of the game: THE TWO MINUTE DRILL! 2MD VR Football is a room-scale VR arcade experience where players take on the role of a virtual quarterback tasked with capturing victory in the final moments of a championship game. It is a collaboration between Truant Pixel, LLC and Cole Robinette. -A fully interactive motion-controlled VR experience for both room-scale kinetic and standing-room only football. -With 1:1 motion controls, your throws are instantly translated into in-game passes. -True arcade gameplay, with pick-up-and-play action in a 7 round heat. -“Hot Streak” status buff for multiple chained completions. -Carnival-style bonus rounds which feature combo multipliers. -Selectable music tracks that respond dynamically to on-field events. -Freedom to craft up to 4 unique plays before jumping into the action. -8 selectable and customizable teams, complete with their own personalities and rivalries. -Unique themed stadium attractions for each team that evolve around you as you score. -In-game achievements represented by virtual trophies that populate your team’s locker room as you progress. -Spectator / Social screen cameras which can be switched on the fly. -Colorful play-by-play commentary provided by Xander Mobus. Players will be able to customize one of 8 teams, before taking them on the road to victory in a seven round heat. For the first time in VR, players will be given the opportunity to design their offensive strategy, creating custom receiver routes for your teammates in up to 4 plays before taking the field. 2MD is for fans of football as well as non-sports gamers alike, featuring 8 colorful arenas designed around the individual personality of each team. Eight themed ‘attractions’ transform the stadium around you, growing ever more fantastic as you complete passes and score touchdowns. Between match-ups, players will have a chance to try their hand at the bonus round, a carnival style intermission that will provide even more chances to rack up an even higher score. Trophies and leaderboards are both supported, with full representation both on the field and in your team’s locker room. Colorful play-by-play commentary is provided by the one and only Xander Mobus, whose previous credits include Super Smash Bros., and Persona 5. The developer accompanied the announcement with a trailer, that you can check out below. 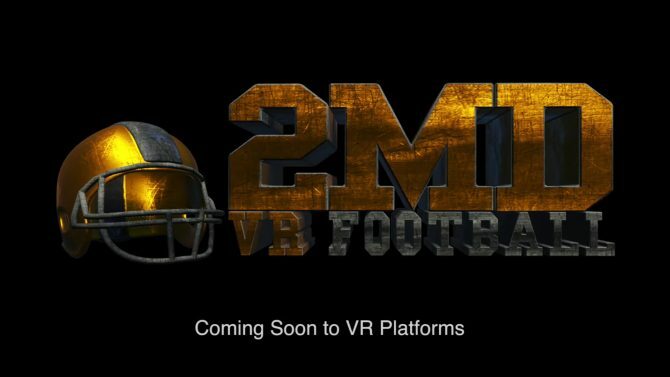 2MD: VR Football by Truant Pixel will soon allow PlayStation VR owners to hit the (virtual) gridiron when the game arrives sometime later this Spring.